Ever since the use of a defibrillator saved the life of one of Horton's members while he was playing in his regular Sunday competition, Horton has supported HART with regular substantial donations, some of which were put towards the cost of a defibrillator installed on the nearby Henfield Business Park. Picture shows a HART member receiving £500 from the grand-daughter of one of Horton's founder members. Shermanbury Parish Council recently gave HART the fantastic sum of £500, and the picture shows SPC Chairman Trevor Brown handing over the cheque prior to a cold PC meeting (hence Trevor's overcoat). Also in the picture are HART members Chris Simmons, Martin Tooth, John Rodriguez and Colin Ansell (also an SPC councillor) - thanks to Dawn Langton for arranging the cheque handover. 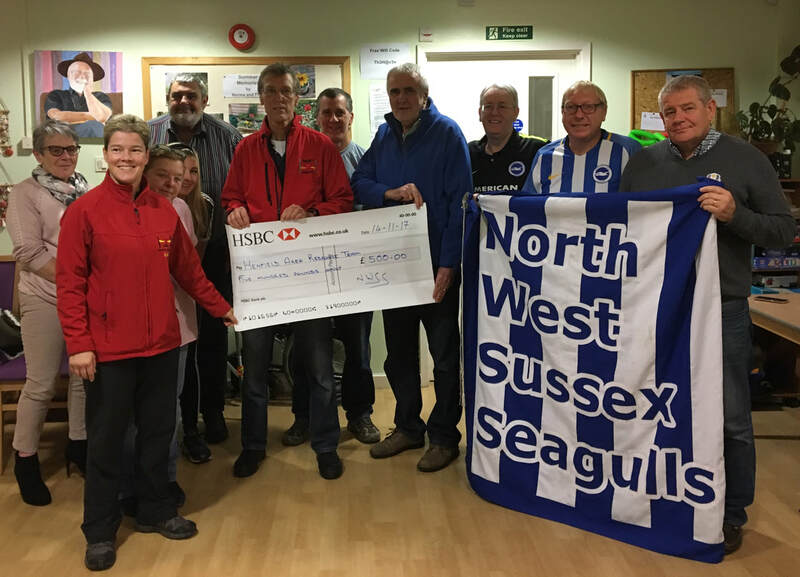 North West Sussex Seagulls also gave HART the same great sum of money (£500), this being the second time they have supported HART. The picture shows 7 HART members with Ian Morris (Treasurer), Mike Wilson (Secretary), Andy Stonestreet (Chairman & Founder) and Dave Owen (Away Travel Co-ordinator). 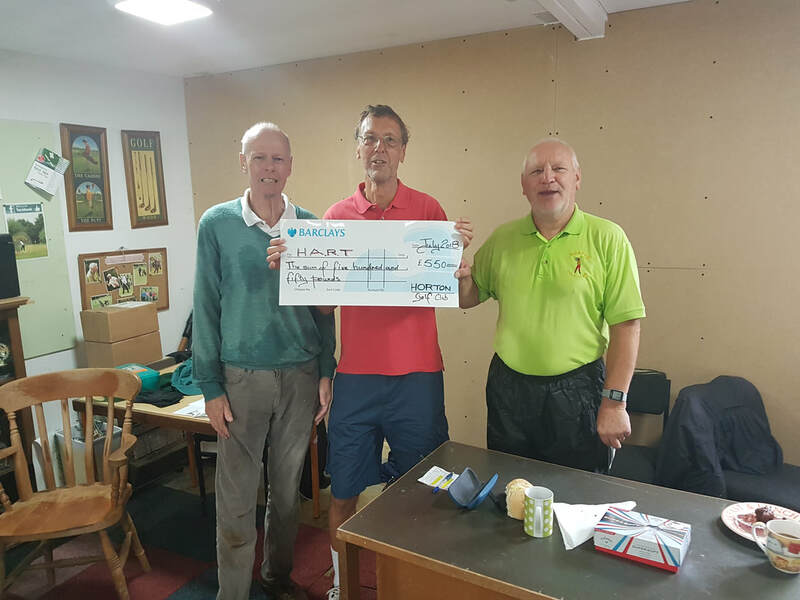 Picture shows Horton Captain Bill Hawkins in the green top, and Horton Vice Captain Mark Wasserberg in the blue top, handing over a cheque for £550 to HART Chairman Martin Tooth.HART is very appreciative of the regular support they get from Horton.